It’s a really versatile kind of ‘dish’ and there are different types of flour one can put into a savoury muffin, wholewheat, plain, buckwheat etc. I used whole wheat and buckwheat simply because they are healthier, but plain will work just fine too. I also used lactose-free milk simply because my cousin is lactose-intolerant. Have fun and play around with the ingredients! It really is an easy recipe to start with if you are new to baking or just want to whip up something quick for a meal – yea, muffins can compose a meal! 1. Preheat the over at 220 degrees/200 degrees celsius fan. 2. Combine the wet and dry ingredients separately before mixing together in one large bowl. 3. 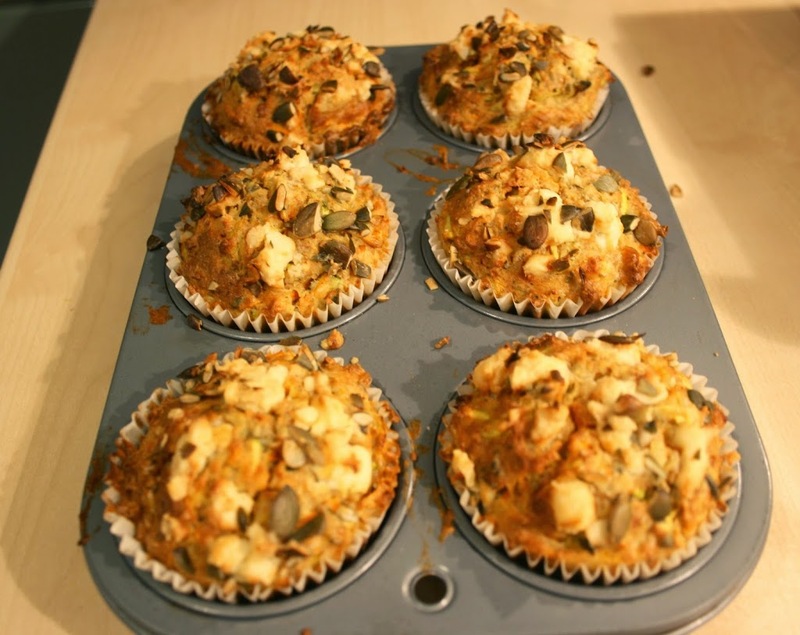 Spoon the muffin batter into muffin cups – or grease a muffin pan with butter/oil. Sprinkle the tops with a little more feta and chopped pumpkin seeds. 4. Bake for 25 – 30 minutes or so until a toothpick comes clean when inserted in center of a muffin. Remove from oven and allow to cool in the pan for about 10 minutes before transferring to a cooling rack. Cool completely before putting muffins in an air-tight container and storing in the fridge. Previous Alternative Flours: How To Use Them & What Are Their Health Benefits? Next Did someone just mention almond milk?